It isn’t realistic to think that wind and solar can power the world alone, they say. PITTSBURGH – Some of the world’s top climate scientists say wind and solar energy won’t be enough to head off extreme global warming, and they’re asking environmentalists to support the development of safer nuclear power as one way to cut fossil fuel pollution. Four scientists who have played a key role in alerting the public to the dangers of climate change sent letters Sunday to leading environmental groups and politicians around the world. The letter, an advance copy of which was given to The Associated Press, urges a crucial discussion on the role of nuclear power in fighting climate change. Environmentalists agree that global warming is a threat to ecosystems and humans, but many oppose nuclear power and believe that new forms of renewable energy will be able to power the world within the next few decades. That isn’t realistic, the letter said. “Those energy sources cannot scale up fast enough” to deliver the amount of cheap and reliable power the world needs, and “with the planet warming and carbon dioxide emissions rising faster than ever, we cannot afford to turn away from any technology” that has the potential to reduce greenhouse gases. The letter signers are James Hansen, a former top NASA scientist; Ken Caldeira, of the Carnegie Institution; Kerry Emanuel, of the Massachusetts Institute of Technology; and Tom Wigley, of the University of Adelaide in Australia. Hansen began publishing research on the threat of global warming more than 30 years ago, and his testimony before Congress in 1988 helped launch a mainstream discussion. Last February he was arrested in front of the White House at a climate protest that included the head of the Sierra Club and other activists. Caldeira was a contributor to reports from the Intergovernmental Panel on Climate Change, Emanuel is known for his research on possible links between climate change and hurricanes, and Wigley has also been doing climate research for more than 30 years. The vast majority of climate scientists say they’re now virtually certain that pollution from fossil fuels has increased global temperatures over the last 60 years. They say emissions need to be sharply reduced to prevent more extreme damage in the future. In 2011 worldwide carbon dioxide emissions jumped 3 percent, because of a large increase by China, the No. 1 carbon polluting country. The U.S. is No. 2 in carbon emissions. Hansen, who’s now at Columbia University, said it’s not enough for environmentalists to simply oppose fossil fuels and promote renewable energy. “They’re cheating themselves if they keep believing this fiction that all we need” is renewable energy such as wind and solar, Hansen told the AP. The joint letter says, “The time has come for those who take the threat of global warming seriously to embrace the development and deployment of safer nuclear power systems” as part of efforts to build a new global energy supply. Stephen Ansolabehere, a Harvard professor who studies energy issues, said nuclear power is “very divisive” within the environmental movement. But he added that the letter could help educate the public about the difficult choices that climate change presents. 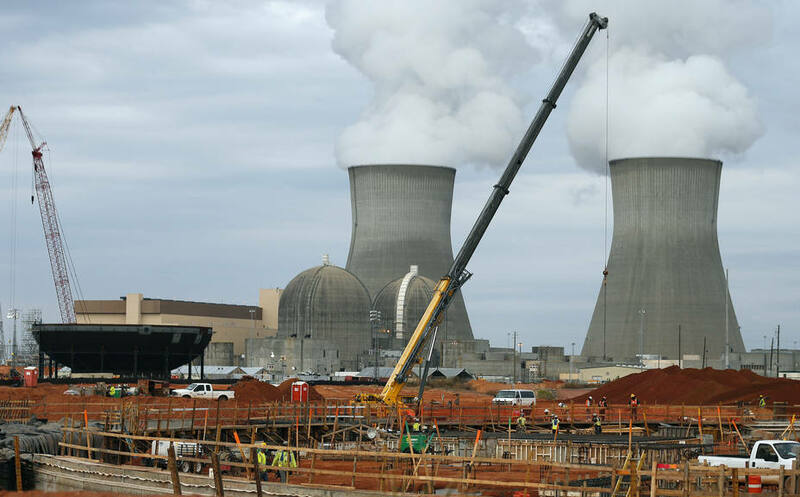 Risk of catastrophe is only one drawback of nuclear power, NRDC President Frances Beinecke said in a statement. Waste storage and security of nuclear material are also important issues, she said. The scientists acknowledge that there are risks to using nuclear power, but say those are far smaller than the risk posed by extreme climate change.